This development was constructed in 1970 and consists of 169 studios, 349 one-bedroom and 68 two-bedroom units. 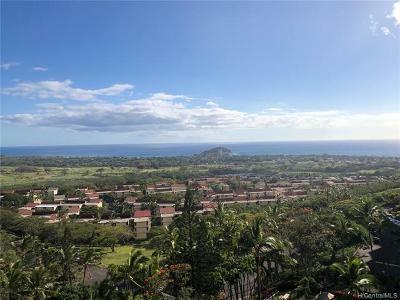 Makaha Valley Towers feature stunning views of the ocean and Makaha's two golf courses. The towers are located on Kili Drive. 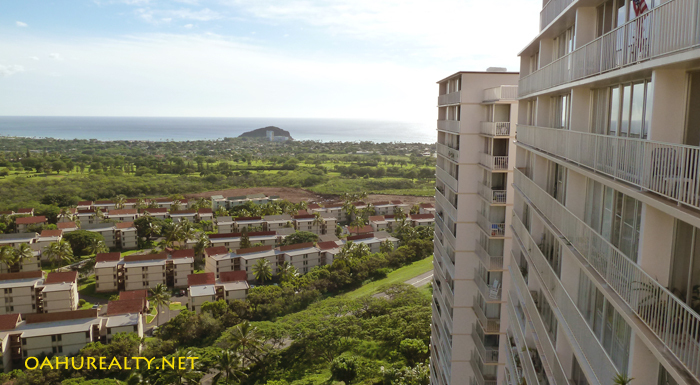 Makaha Valley Towers are 20 stories tall and have eight elevators. The Towers have a total of 586 residential units. There's ample parking for both residents and guests. A swimming pool is centrally located at the ground level. 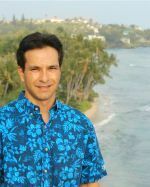 Makaha's sandy beaches are a short drive away. 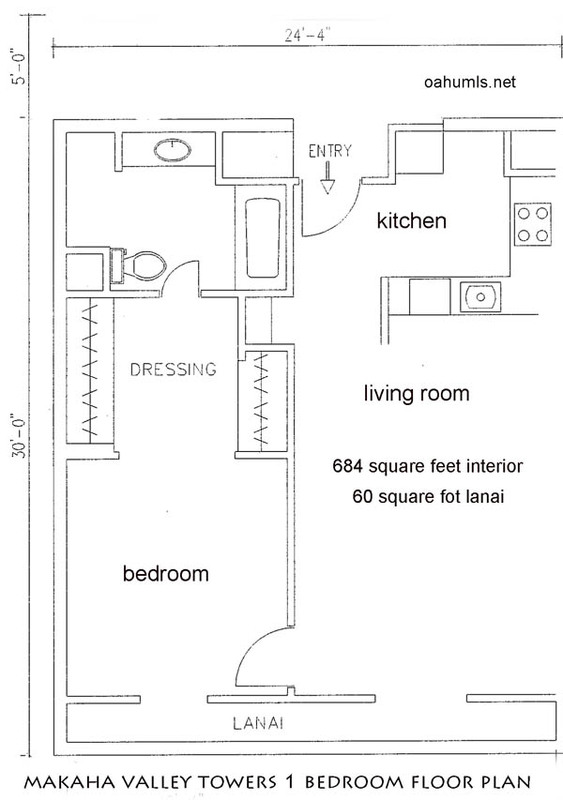 There are three basic floorplans at Makaha Valley Towers. Studios have approximately 515 square feet interior. 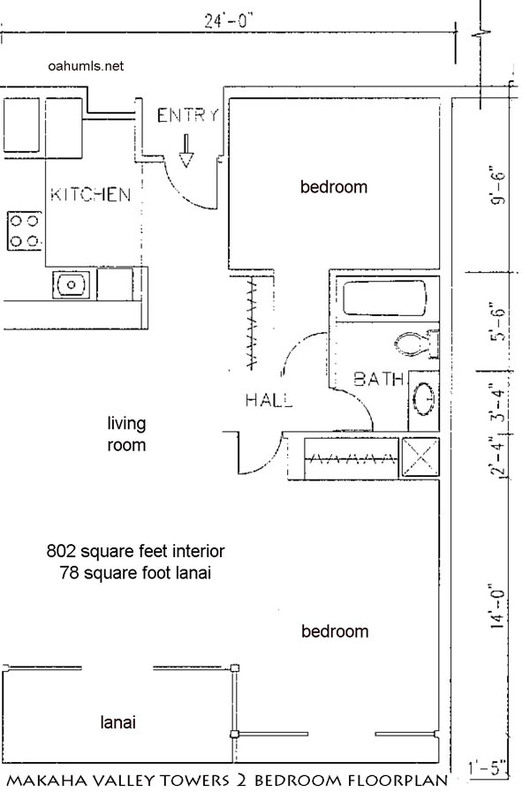 One bedroom units are approximately 680 square feet and two bedroom units have about 802 square feet. 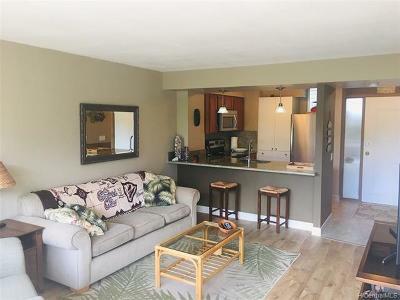 All units feature lanais with at least 60 square feet of space to relax. The Towers have 169 studios, 349 one-bedroom and 68 two-bedroom residential condos. At any given time, most of the listings for sale are one-bedrooms and studios. In a typical year there are just a handful of two bedroom condos listed and sold. This is an excellent alternative to Waikiki. Enjoy the beauty of Hawaii away from the masses and traffic. 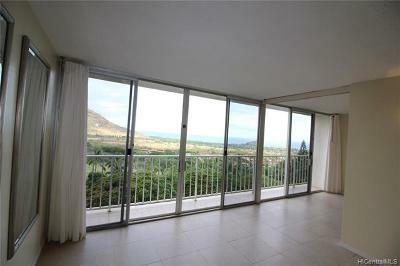 Makaha Valley Towers offer significantly more for the money compared to Waikiki condos. Each owner is granted one unassigned parking space. There's a $50 deposit (refundable) for the parking decal that goes on the vehicle. Additional parking spaces are available for $80 per month. 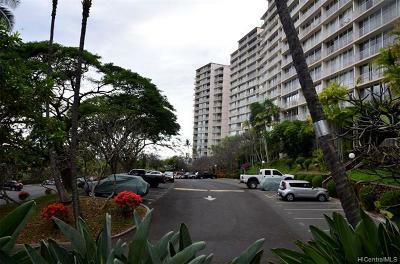 Makaha Valley Towers also has a limited number of motorcycle parking spaces. If your primary vehicle is motorcycle, the parking space counts as your unassigned parking space and there is no charge. If the motorcycle is additional to a car or truck, the motorcycle parking fee is $30 per month. 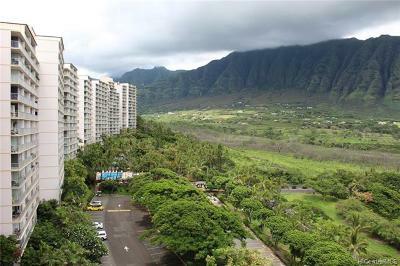 Makaha Valley Towers were originally sold in leasehold. Nearly all of the units have been converted to fee simple. If you see a listing with a dramatically lower price, it might be leasehold. Click the individual listing on our site and look at land tenure. If it's leasehold, proceed with caution. Update: the lessor is not offering the fee simple interests as of summer, 2016. 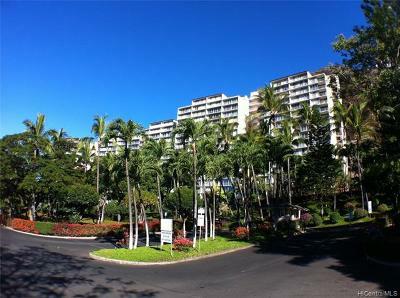 Leasehold condos at Makaha Valley Towers are units 535, 627, 712, 804, 1008, 1019, 1020, 1104, 1224 and 1632. 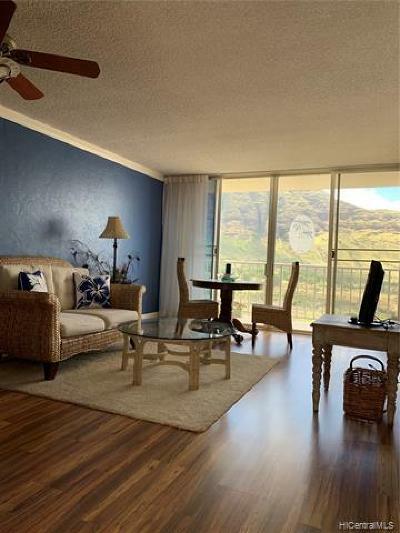 Feel free to contact us for more information about Makaha Valley Towers condos for sale. 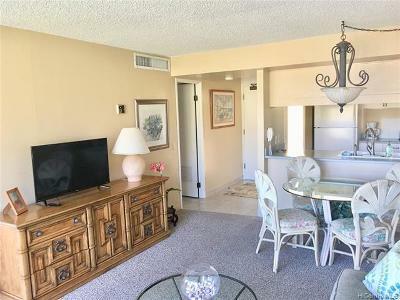 Note - If you are looking for a large lanai to put a table and chair on, the best choices are studios and two bedrooms. 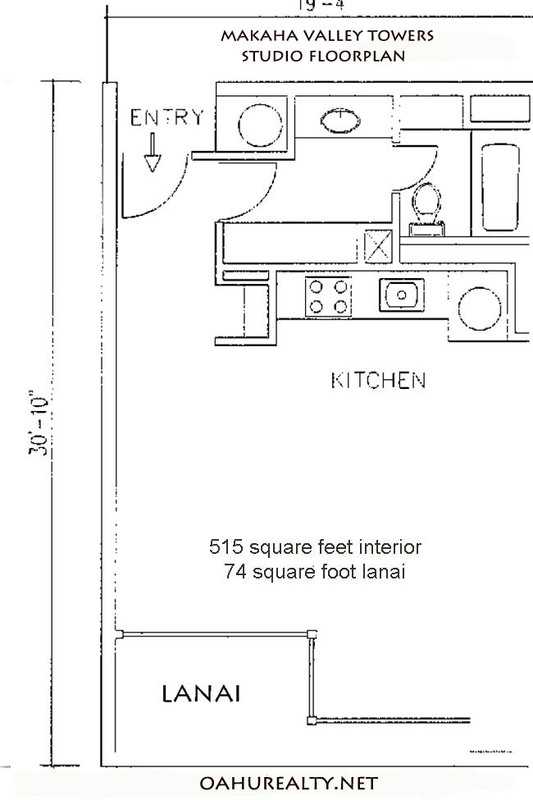 The one bedroom units have narrow lanais, about two feet deep. Just big enough to stand outside and maybe fit a narrow chair. 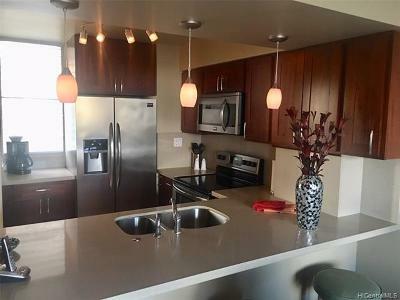 Owners using their properties as second homes or not using a property management company, the Towers have a special form you can fill out and send to the office. The form will authorize a person you designate to access your condo. Here's the link to the PDF: Makaha Valley Towers Caretaker form. 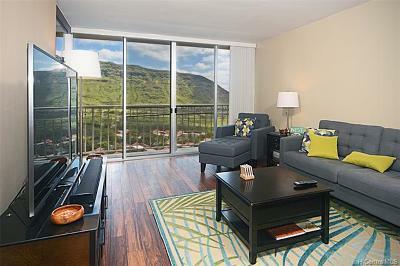 If you're moving in or out and need to arrange delivery of large items, complete the Makaha Valley Towers Intent to Move form and deliver it to the office. By using this form, security will be informed about the move and padding will be installed in the elevator if necessary.